Mid States Club Hockey Association and Mississippi Valley Club Hockey Association high school leagues are responsible for submitting a complete schedule of games to MIHOA in order to have officials assigned to games. This includes state championships, league play offs and USA Hockey National Championship qualifiers. 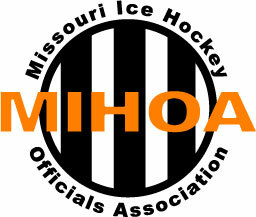 Teams are required to be registered with the Missouri Hockey Registrar prior to MIHOA scheudling officials for any games. the Missouri Hockey Registrar will send the information to MIHOA. Once this verification of registration is provided by the Missouri Hockey Registrar, team access can be set up.